VINTAGE pop songs: John Wesley Vivian "Jack" Payne (22 August 1899 – 4 December 1969) was a British dance music bandleader who established his reputation during the British dance band era of the 1930s. Payne was born in Leamington Spa, Warwickshire, the only son of a music publisher's warehouse manager. While serving in the Royal Flying Corps he played the piano in amateur dance bands. Payne served in the Royal Air Force during World War I, and led dance bands for the troops. Prior to joining the Royal Air Force, he was part of "The Allies" concert party. This voluntary group performed to wounded soldiers convalescing around Birmingham. He played with visiting American jazz bands at the Birmingham Palais during the early 1920s, including the Southern Rag-a-Jazz Orchestra in 1922, before moving to London in 1925. He played in a ten-piece band which became the house band at London's Hotel Cecil in 1925. This ensemble regularly performed on the BBC in the latter half of the decade. 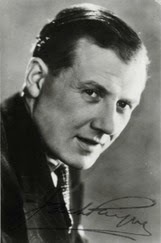 In 1928, Payne became the BBC Director of Dance Music and the leader of the BBC's first official dance band. 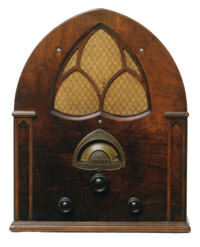 In 1929 the band was featured in the first ever BBC television broadcast. His signature tune was Say it With Music written by Irving Berlin.